Every year when the AFL grand final comes around, if your team’s not in it (an experience that, as a North Melbourne fan, I’m entirely familiar with) then you usually wind up picking one side or the other to barrack for on the day. That’s a bit hard for me to do this year, because in an 18-team league, if I made a list of my sixteen most favourite teams, neither of these sides would make the cut. I can’t stand the Tigers. I love beating the Crows. The 2015 elimination final and North’s miracle in Hobart earlier this year are probably close to my two most favourite football games of all time. The Adelaide Crows. Do I have to explain why a North Melbourne fan hates Adelaide? Start with the 1998 grand final and work your way forward. Watching Wayne Carey go to play there and suffering through numerous unexpected and heartbreaking losses to them ever since (I mean, Jared Petrenko? Really?) has just rubbed salt in the wound. It’s hate, but it’s hate-respect. They’ve never done anything to be worthy of hate other than just be really, really, really annoyingly good at beating North Melbourne. In one of my most popular articles ever written here on The Roar last year, I talked about how much the Crows grind my gears but also admitted my begrudging respect for a team that has been so admirable in recent years. The Crows have been whacked with more than their fair share of bad luck, but have risen time and again to any challenge. A team that goes through the tragic death of a senior coach and then loses one of the top five players in the game in the same year would be completely entitled to roll over and give up on football for a bit. The Crows have done anything but. Two years later they’re going into a grand final as the favourites. You can’t not respect that. As for Richmond, my beef with them has always been the unjustified hype that exists around the club. They get off two effective kicks in a row and it launches a five-page media spread and commemorative mugs. You might be reading this and thinking ah, classic North fan, chip on the shoulder about media coverage. And you’d be damn right. Hate is always a reflection of the self. What’s not to hate about a team that has had more spontaneous combustion gym towel fires than premierships in the last 35 years? And yet I have to be a little uncomfortable and admit that the Richmond hate has faded away this year. For the first time in my history of watching footy, they’re actually delivering on the hype. Playing good, team-first, fundamentals-based footy is exactly what I’ve wanted to see from them all this time. They’re doing it and it’s paying off. I have to respect that. 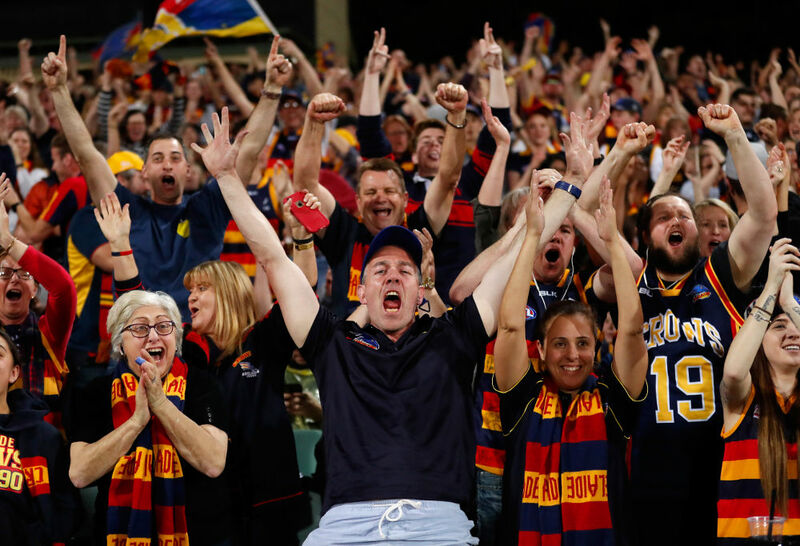 Heck, I’ll admit it – I was even a little happy for them to see them beat Geelong. Is that personal growth? Am I finally becoming mature? I really hope not. Having a bone to pick with some teams more than others is just part of being a footy fan. But while I may not like Adelaide or Richmond very much, I must applaud what they’ve done this year. Come tomorrow’s grand final, may the best team win.